How do you work? 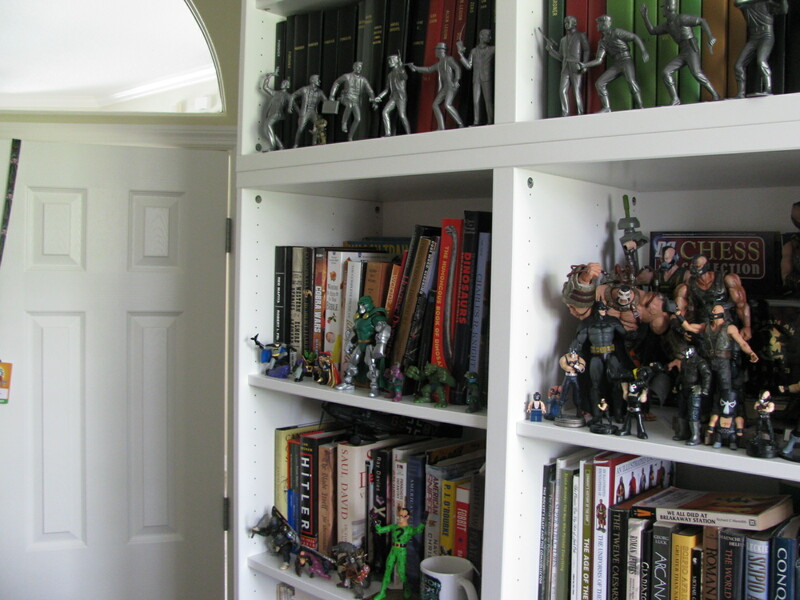 Do you have a spot in the house where you get your best creative thinking done? Or do you down gallons of coffee at Starbucks, as you brainstorm your creative masterpiece? As a creator, I’m always interested in learning more about how other creative types work. It’s more than just idle curiosity. I want to know tips and tricks that will help me be more effective when I sit down to create comic book stories. 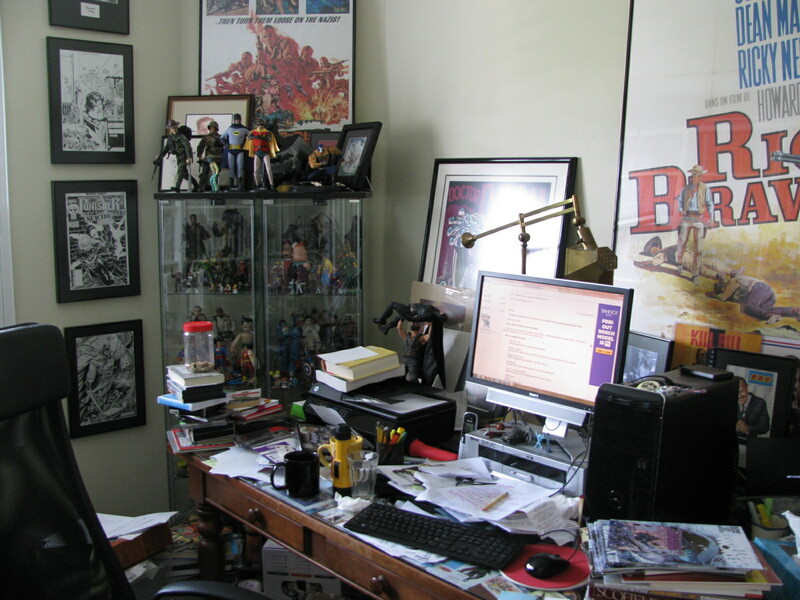 Last year, there was a photo circulating of Jack Kirby’s desk. It’s nothing fancy. 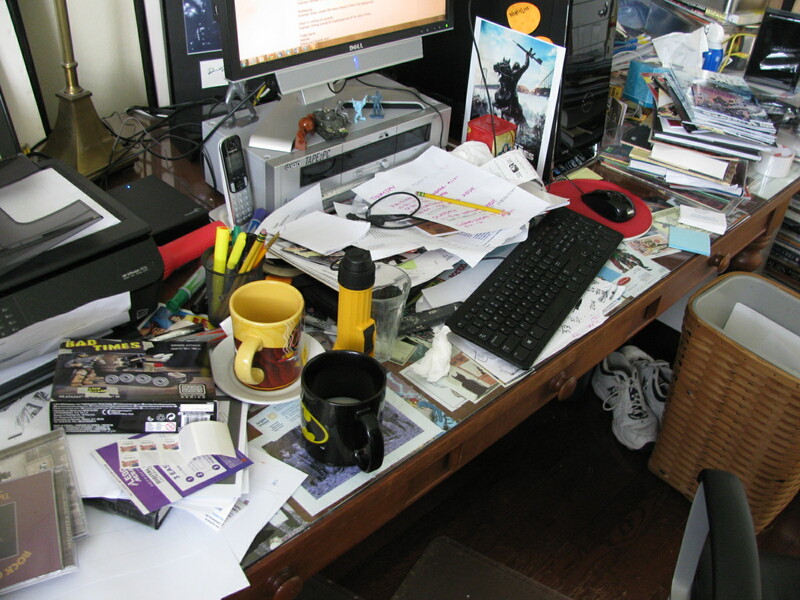 In fact, it’s so “not fancy” that you just stare at it wondering how he got so much done on such a small work surface. I thought it would be interesting to see how some modern creators were getting it done. If you’ve read any Marvel or DC comics in the past 10 years, chances are you’ve read something by Chuck Dixon. Chuck is a popular and prolific creator with credits that include “Batman,” “Punisher,” “Robin,” and “Nightwing” to name just a few. Seriously, it barely scratches the surface of what he’s written. 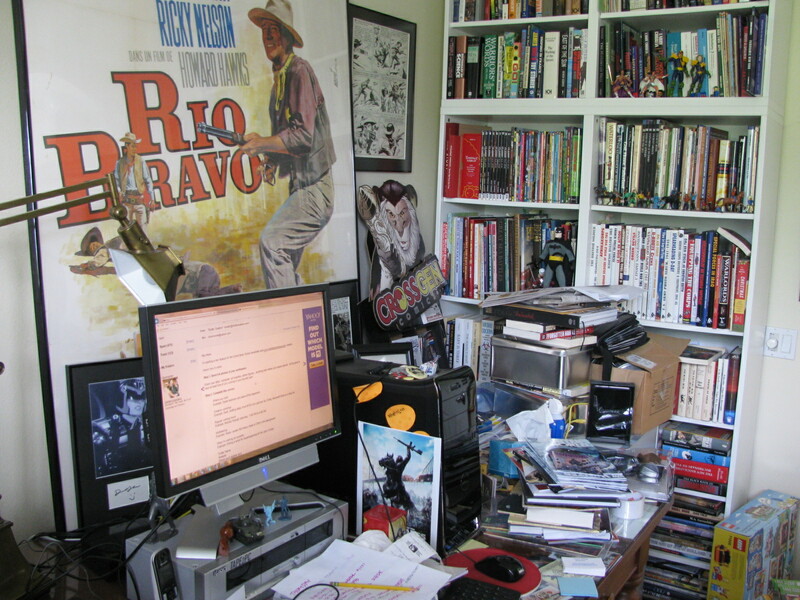 Chuck is also an incredibly nice guy, who has a pretty cool workspace. 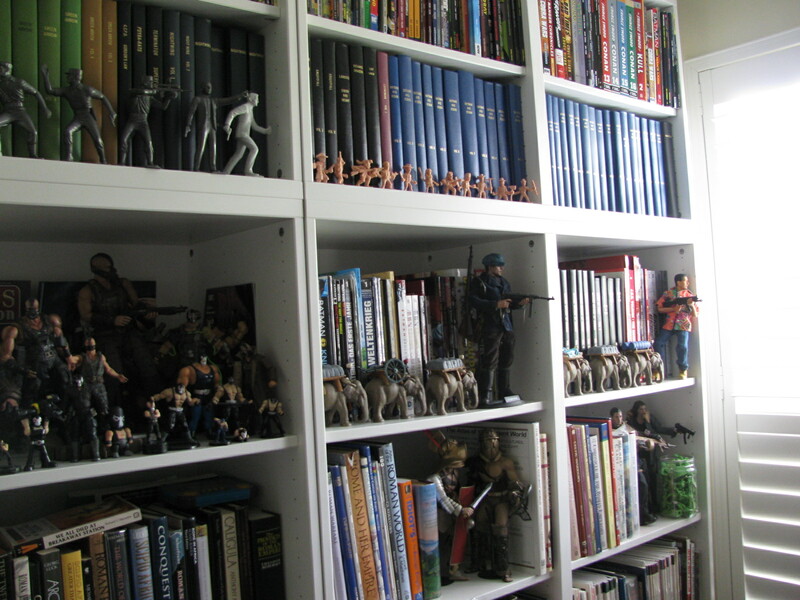 CHUCK DIXON: It’s a dedicated office space. Small, but I get the job done. CHUCK DIXON: Super amped up Dell desktop and lightning fast hunt and peck. CHUCK DIXON: Monday through Friday in six hour jolts. CHUCK DIXON: Music and too much Facebook. CHUCK DIXON: Bad Times Book Three: Avenging Angels. Past the halfway point and on the downward slope. Where you’ll appear next: San Diego! Its Funny my Works space is cleaned once a month and everytime it is clean it feel dirty and when it is cluttered it feels functional. If it werent for my wife I think I would be building soda can forts at my desk. It something about being creative that I think makes us like clutter, or atleast that what an article said once that I read. My office is a constant work in progress. I just spent a week purging old comics and magazines to make room for all the new stuff I plan to buy in the coming months.